Applications must be turned into Tim Jones (A200B or tim.jones@bellevuecollege.edu) by no later than Friday, January 18th, 2019 by 12 pm. Important Note: Applications will be considered on a rolling basis so the sooner you turn in your application the better. Course: CMST 261 Radio News Broadcasting 5 cr. POLS 204 Comparative Politics 5 cr. Students will register for both courses and earn 10 credits from the program. Students will meet for seminars on Bellevue College campus before and after the trip. The trip will include approximately 35 people—including 30 students (15 from Bellevue College and 15 from Olympic College), several professors, and Steve Scher, a journalist and former KUOW radio host. We will fly in and out of Dublin, Ireland, but for most of the trip we will based in Bundoran, which is a seaside down in County Donegal. From Bundoran we will visit various locations in the North of Ireland, including Yeats Country, Cavan Burren, Donegal Abbey, O’Donnell Abbey, Donegal Castle, Sliabh Liag, and Derry City. 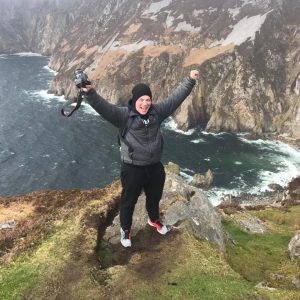 In order to travel to Ireland as part of this experience students MUST sign up for ten credits: five credits of Political Science—either POLS 204 (Introduction to Comparative Politics) or POLS 299 (Individual Studies in Political Science)—and five credits in Communication Studies—either CMST 261 (Radio News Broadcasting) or CMST 299 (Special Projects in Communication). These classes will be taught in tandem by Tim Jones (Senior Associate Professor of Political Science at Bellevue College) and Steve Scher (freelance journalist and former KUOW radio host). The dates of the classes will not line up exactly with the dates of Spring quarter because much of the course content will be covered during the trip to Ireland (April 19-30, 2019), but students will be required to meet and do work before and after the above travel dates in order to prepare for and process what happens in Ireland. In POLS 204 (Comparative Politics), students will be introduced to the comparative method, learn about Irish history, culture, and politics with a focus on peace, justice and sustainability. Comparisons will be made between the Irish Catholic experience in Ireland with the African American experience in the United States. In CMST 261 (Radio News Broadcasting), students will be introduced to journalism, including interviewing, storytelling, and podcasting. Students will be tasked with collecting audio related to their interests on the trip itself, and then creating podcasts individually and in small groups, which will be shared online and with local radio stations such as our own KBCS. To hear some of the student podcasts from last year, visit: https://soundcloud.com/user-450969291. This program of study will NOT be like a regular course, not even close. Instead it will be an intense, immersive learning experience that will give students a chance to dive deep—reallydeep—into issues related to peace, justice, sustainability, and conflict resolution. 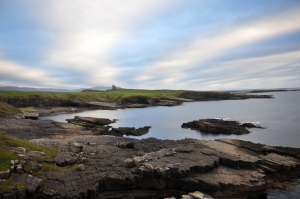 Includes flight, accommodations (at Atlantic Apartotel in Bundoran), in-country transportation, all breakfasts, dinners, and most lunches, field trips, admission charges, cultural and outdoor activities including equipment hire and wetsuits, and tour guides. E.g., traveler’s insurance, some meals, souvenirs, etc. • Must be able to pay a $1800 co-pay (possibly less depending on fundraising and flights costs) and cover other incidental expenses (snacks, souveniers, etc.) on the trip.